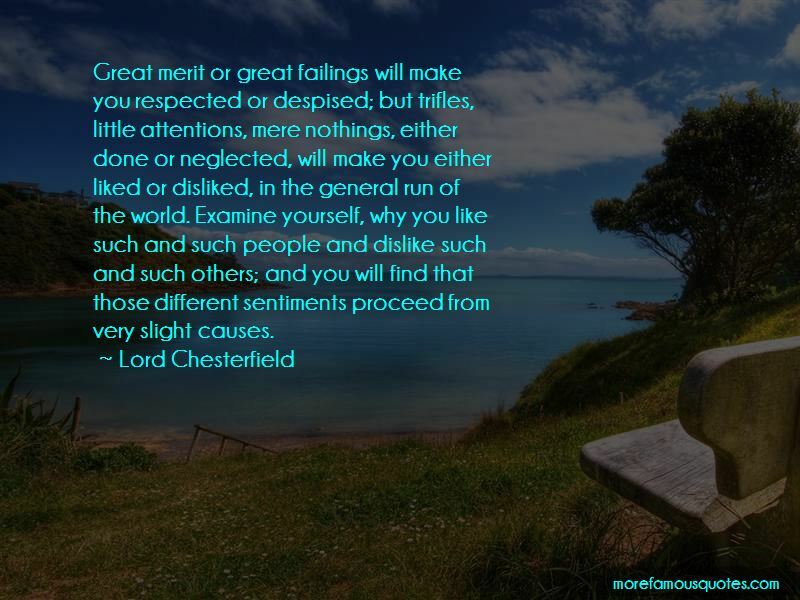 Enjoy reading and share 66 famous quotes about Examine Yourself with everyone. “The Buddha encouraged people to "know for yourselves that certain things are unwholesome and wrong. And when you do, then give them up. And when you know for yourselves that certain things are wholesome and good, then accept them and follow them." “Now that it was safe to drag their relationship out into the light and examine it mercilessly it was fantastic on what a thin basis they had proposed to build their life. Apart from physical attraction, there was nothing between them but fun and parties, and that was not entirely a taste in common. “In the beginning, when Adam was first created, he spent whole days rubbing his face in the grass. He picked his ear until it bled, tried to fit his fist in his mouth and yanked out tufts of his own hair. At one point he tried to pinch out his own eyes in order to examine them and God had to step in. Looking down at Adam, God must have felt a bit weird about the whole thing. It must have been something like eating at a cafeteria table all by yourself when a stranger suddenly sits down opposite you, but it is a stranger you have created, and he is eating a macaroni salad that you have also created, and you have been sitting at the table all by yourself for over a hundred billion years; and yet still, you have nothing to talk about. It was pitiful the way Adam looked up into the sky and squinted. “What say you, can you love the gentleman? 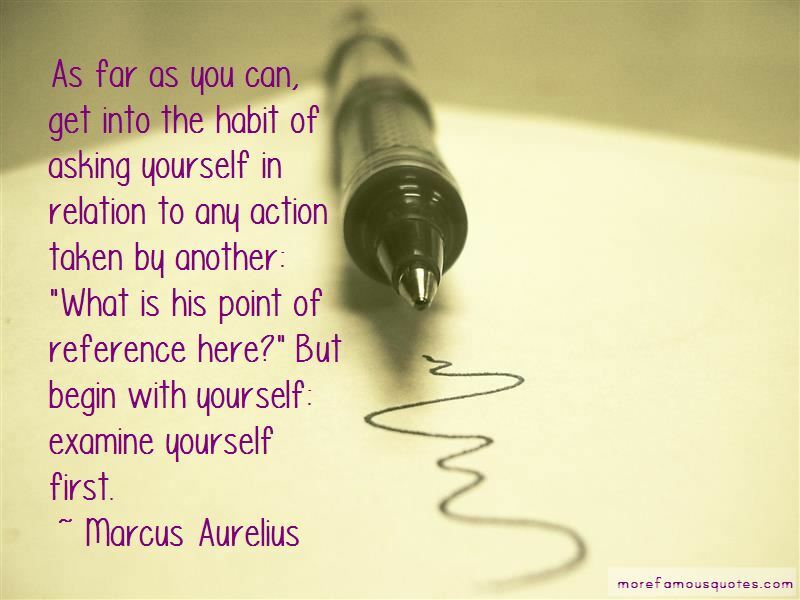 “Examine thus yourself from every side. 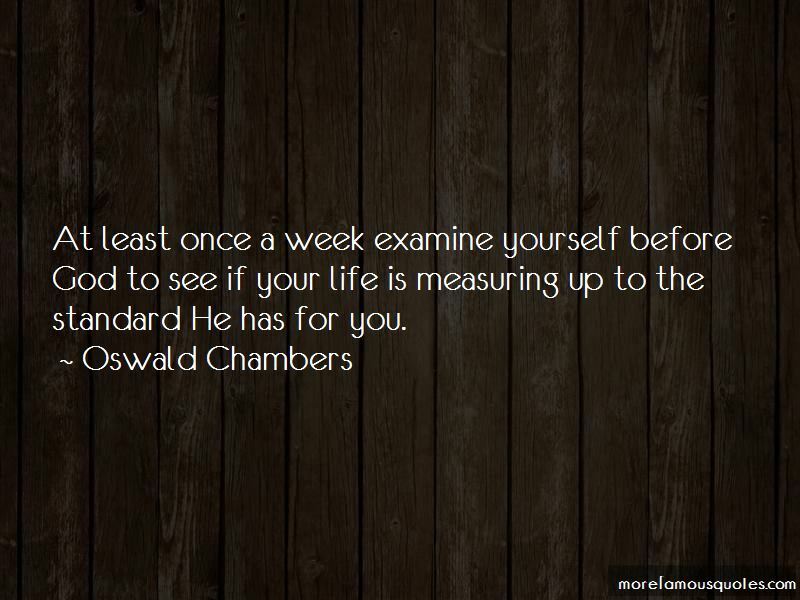 Want to see more pictures of Examine Yourself quotes? 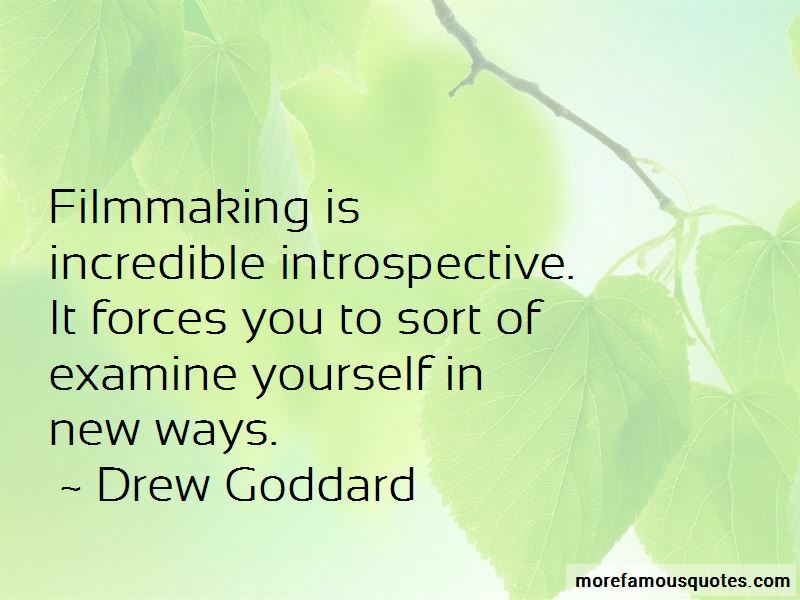 Click on image of Examine Yourself quotes to view full size.